Blog etlantic to Tackle the Atlantic - Both Ways! Having pushed his electric Colomban MC-30 Luciole (Firefly) to its limits and having won the Federation Aeronautique Internationale’s approval of his speed and altitude records, Jean-Luc Soullier and his team partner Roman Marcinowski are now after significant distance, speed and altitude goals. Needing a faster, lower-drag airplane to accomplish the next set of tasks, the etlantic Project turned to Greg Cole at Windward Performance in Bend, Oregon. Cole’s Duckhawk 15-meter sailplane outflew even 18-meter competitors in its first contest year. 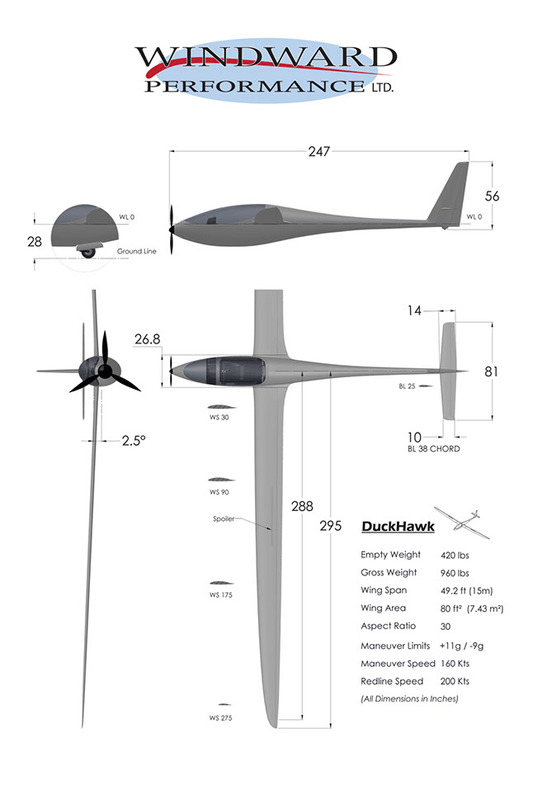 At a gross weight of 960 pounds (using the Windward specification), the special Duckhawk’s three-bladed propeller (special in itself) will have to overcome under 19 pounds of drag to maintain level flight at the best lift-to-drag speed. But the plan is to fly high and fast to set new world altitude and speed records. 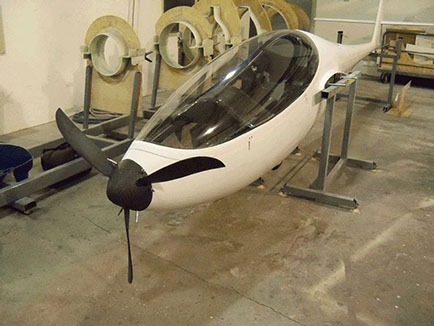 A lighter version of the base airplane, weight saved with thinner wing and fuselage skins, will allow carrying batteries and thin-film solar cells to power the nose-mounted electric motor. Their solar cells will have an ostensible efficiency of 25-percent, which even at the high latitudes they will traverse should augment range significantly. Because of the Duckhawk’s 52:1 lift-to-drag ratio without a propeller, the special controllable-pitch unit will be able to run at low rpms and draw little from its energy sources to speed the airplane across the three ocean gaps it will face on its first voyage. In this respect, it will be a powered aircraft, but one which may use energy recovery on its long final glides to help extend range. Finding the right solution to propeller control, with even a contra-rotating pair under consideration, is “not simple at all,” according to Roman. The project has an initial plan to use a small Rotex motor from the Czech Republic for power, modulated by an MGM electronic speed controller (ESC). They feel that there is a reasonable cost/benefit basis for selecting these components. This pairing reflects how closely some model aircraft components come to being “real” airplane parts, with some giant-scale models topping 50 pounds and requiring motors that can launch people-carrying aircraft. 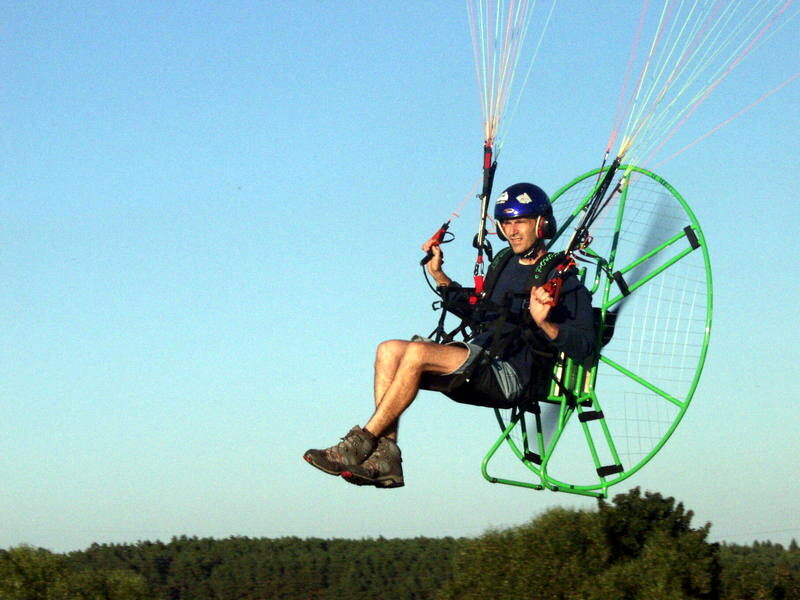 The Rotex motor has been used to fly powered parachutes, which have considerably more drag and less performance than the Duckhawk will provide. Some of the project’s partners are working on other potential powerplants and controllers, and things may change between now and this summer. Jean-Luc and Roman plan on using secondary, or rechargeable batteries for the 2014 three-stage hop, reasoning that the lightened airframe, the Duckhawk’s ability to carry 208 pounds of water ballast in its original form, and the inset solar cells will enable the airplane to load enough batteries and supplemental energy to stay aloft for 2,200 kilometers (1,364 miles) at a stretch. That’s just their 2014 ambition. For 2015, they hope to fly from “the Big Apple,” New York City, to Brussels, Belgium, “the Capitol of Europe.” Prevailing winds should increase the ground (or over-water) speed, and primary batteries will stretch the range to 6,600 kilometers (4,092 miles). These disposable batteries, since they offer the advantage of higher energy density than current secondary cells can achieve, should allow an unassisted trip of that duration. The team’s goal of “Totally replacing carbon based fuels by clean energy” is a grand one, and their willingness to risk it all on an even grander adventure will stretch the limits of the new airplane and its highly-experienced pilot. We wish them the best of luck and prevailing tailwinds.